The Atlas of Texas contains maps of the U.S. state of Texas. Maps include general overview, county borders, history maps, terrain maps, precipitation, average temperature, major cities, etc. 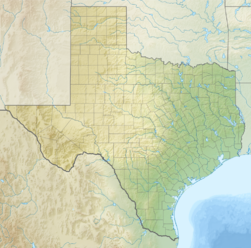 This section holds a short summary of the history of the area of present-day Texas, illustrated with maps, including historical maps of former countries and empires that included present-day Texas. This page was last edited on 8 August 2016, at 19:55.